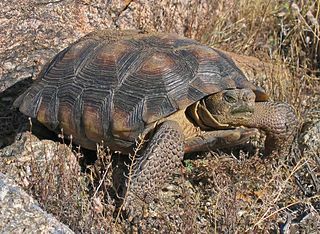 Since 1964, California Turtle & Tortoise Club (CTTC) has been promoting and facilitating the care and adoption of native and nonnative turtle species. CTTC is a California Public Benefit Corporation recognized as a non-profit organization under IRS Code 501(c)(3). Contributions and donations to CTTC are tax deductible to the full extent of the law. CTTC was founded in 1964 and has over 1,000 members world-wide. Membership in CTTC is managed through the Club's many Chapters. Most CTTC Chapters hold monthly meetings that typically include an educational program and a chance to socialize and share information. Many Chapters maintain libraries with borrowing privileges for members. Many Chapters also hold annual turtle and tortoise shows, sponsor field trips, and participate in community outreach activities. All Club members receive the CTTC newsletter, the Tortuga Gazette, as a benefit of membership in CTTC. To make a tax-deductible donation to CTTC through our secure server provided by PayPal, please click the ‘Donate‘ button. Thank you for your support! Click through the special Amazon.com link (left) to support CTTC when you purchase books, magazines, music, movies, software, games, toys and more! Thank you for your support!